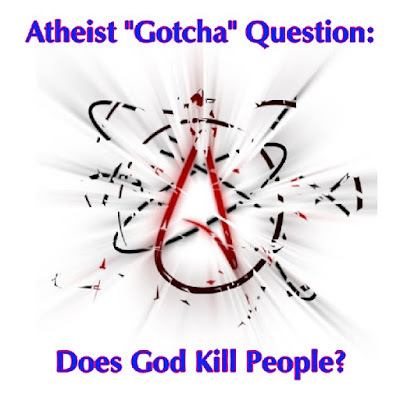 For April 1, it is appropriate to examine how atheists try to trip up Christians with what some of us call "Gotcha!" questions and statements. Although they deny the existence of God, it is convenient for the God of the Bible to exist for them to hate him, the Bible, and his followers. 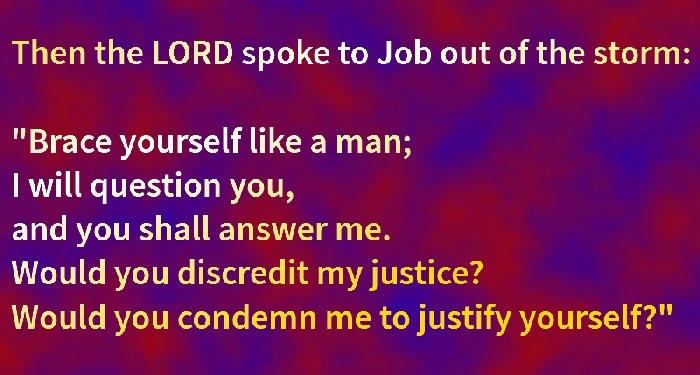 They do know he exists, however, but unrighteously suppress the truth (Psalm 14:1, Romans 1:18-23). Atheists are the MS-13 of rational discourse. I have seen atheistic "logic" work along the lines of, "I asked a question. 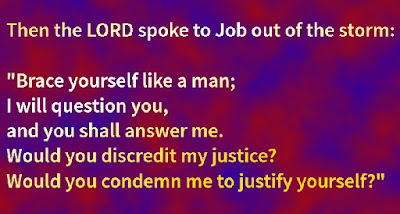 The Christian could not answer it to my satisfaction. Therefore, the Bible is false and there is no God!" Mayhaps an atheist picked a professing Christian who is unskilled in apologetics or has not studied a particular question. If someone cannot answer a question it does not mean an answer is impossible, old son. I'll allow that there are some tricky areas that we struggle with, but they do not negate God's goodness or his existence. You savvy? Many "Gotcha!" claims and questions involve efforts to discredit not only the veracity of the Bible, but the character of God. This is actually quite incoherent, similar to a child that cannot get someone to bow to his will, so he recruits others to unite in hate — but the child is still wrong. Dr. R. Albert Mohler has a message that deals with one of those hard questions in a straightforward way: Does God really kill people? He makes a few very important points. You can see the video or download the audio just below the video at "Does God Really Kill People?" Also for your consideration is the Veritas Domain collection of alleged contradictions that are refuted. To see those, click on "Collection of Posts Responding to Bible Contradictions". The truth is on our side, and those who engage in Olympic-style excuse making cannot change that fact. It appears that the most helpless among us are the way to solve problems. Namely, child sacrifice. Fertility problems? Kill the kids you have. Bad harvest? Kill some more children. Unable to control your lust? Dismember and murder the unborn children. The weather is not to your liking or it just plain scares you? See above. A recent discovery reveals that Peruvians were on the prod about the climate, so they sacrificed about 140 children and over 200 llamas (or alpacas, either way it was the Camels of the Western Hemisphere). Wow, that was way back before massive use of fossil fuels, aerosols, and what not. Can't blame humans for that change. 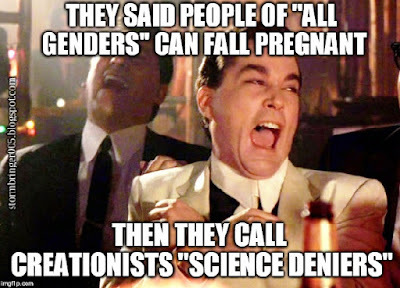 Too bad that couldn't consult with Bill Nye the Leftist Guy, since he's an expert on everything including abortion and climate change. While atheists will undoubtedly claim, "See what religion does? ", atheism is responsible for more murders in human history. Also, their darkness has nothing to do with the truth of God as revealed in the Bible. It is the result of pagan rebellion against their Creator. But I digress. Here we are in our "civilized" countries killing unwanted children and then doing the Mattress Mambo and then executing the results of our lusts. But I also wonder if fanatical climate change cultists will have us go along a similar path. Leftist tinhorn Alexandria Ocasio-Cortez has proposed the ridiculous Green New Deal to combat global warming, and says we should not even have children until it passes. She should go back to bar tending. Dr. Albert Mohler has some comments that I'd like you to see in the March 14, 2019 edition of The Briefing. You can listen or read the transcript for the section, "‘We must change almost everything in our current societies’: 16-year-old Swedish girl explodes onto world stage as climate change advocate". Because this is a caustic subject, please read carefully so you do not misunderstand the points I am making. Does Dr. James Watson wonder why the Cold Spring Harbor Laboratory took away his titles? It's elementary, Watson: racist views are not cool any longer. Statues of Confederate army leaders are being torn down because the South wanted to keep slaves; other racists are in trouble (except for Democrats in good standing, like Sen. Robert Byrd and others). If you say something that even hints at racism, you can be in a heap of trouble. Ken Ham pointed out that if these people who are upset about racism were consistent, they would disassociate themselves from Charles Darwin, who had blatantly racist views. The Bible tells us the opposite, that there are no "races", only ethnic people groups. That's right, "race" is not a biblical position. Although racism has been with us almost from the beginning, it went full gallop with evolutionary "scientific racism". Some examples of that can still be seen today, although evolutionists try to distance themselves from it. In reality, the political correctness movement is not only used to suppress legitimate freedom of speech as well as genuine racism, PC is selective because of the greater leftist goals. 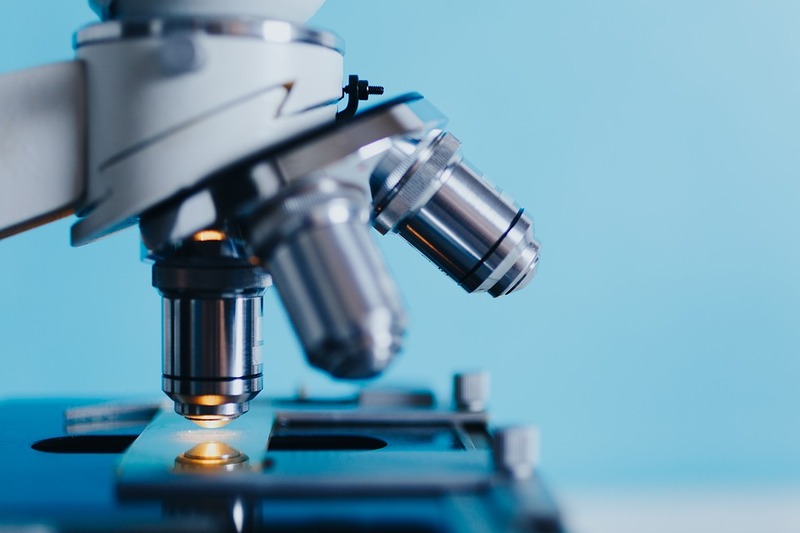 For example, science and reason clearly show that there are differences between men and women, but the secular science industry has become involved in politically leftist activism. 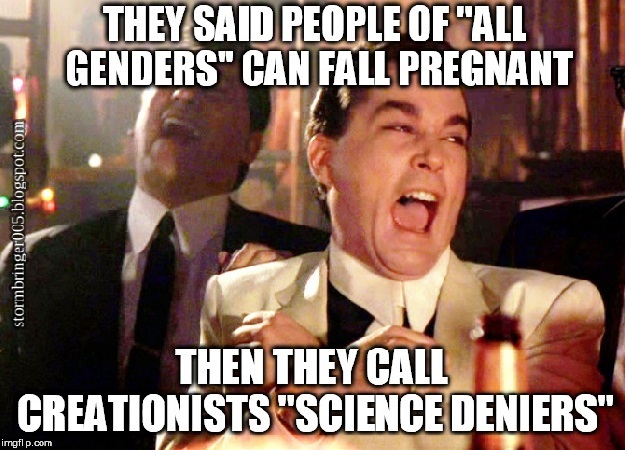 An appeal to "scientists say" (or worse, the "scientific consensus" fallacy) can change if something is not currently accepted by the powers that be. Tearing down statues will not change the past; we are supposed to learn from it and move forward. Removing Watson's titles as a means of punishment does not negate his co-discovery of the DNA molecule. The lab issued strong statements condemning his racist views (I think it was partly to protect themselves from subsequent repercussions). Since he is an atheist, it would not be much of a stretch for weak thinkers to try and outlaw atheism as well. Interesting that the overwhelming majority of professing atheists are white males, though. How about a bit of rational thinking instead of "thinking" with emotions? I don't know what good removing Watson's titles can accomplish (and I have no alternative suggestions for this touchy subject), but his punishment cannot negate his scientific work. The true answer to racism is not found in political correctness trends or from social justice warriors. It is found in the Word of God. In these here United States and several other Western countries, people have the right to free speech. The US Constitution also guarantees freedom of religion. There are atheists and other anti-creationists who flat out lie, saying that Christians are violating the "Constitutional separation of church and state", but that only appeared in the Soviet Union documents. Atheists will lie and harass Christians who often have to take their case to court to fight for their rights. Unfortunately, some professing Christians have a wrong view, saying that it is "Christlike" to endure such persecution. That view is unbiblical.Some owlhoots may claim that since the term religious freedom is not in the Bible, it must not be true. It helps to know our rights, and yes, we can stand up for them. After all, if we sit back and let things happen, we will lose our rights even more quickly. 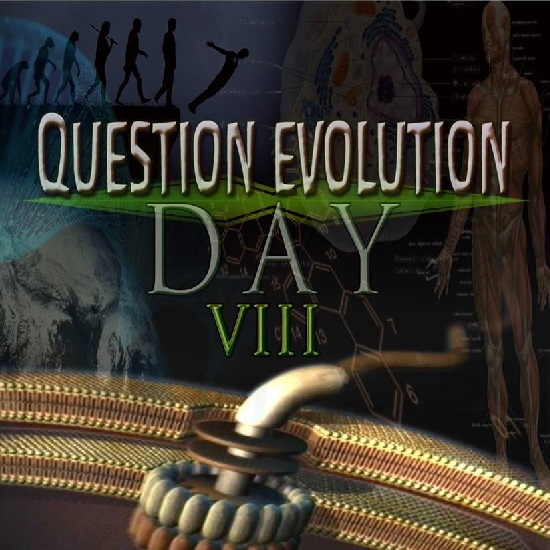 February 12 is Question Evolution Day, and some folks hate it. While anti-creationists will claim that they believe in free speech, they (like other leftists) only like the free speech that meets with their approval. Otherwise, biblical creation science must be stopped. Misrepresentation, defamation (here is one example), straw man arguments, and more are standard operating procedures for these sidewinders. I'll allow that nobody is shoving bamboo shoots up our fingernails, but they do persecute us in their efforts to silence the message. Despite opposition, we spread the message and endure persecution while we still can. Persecution is happening to many Christians around the world, and it is increasing in the West. Governments and court systems are increasingly secular, so there is no guarantee that Christians will prevail even when the truth is clearly on their side. 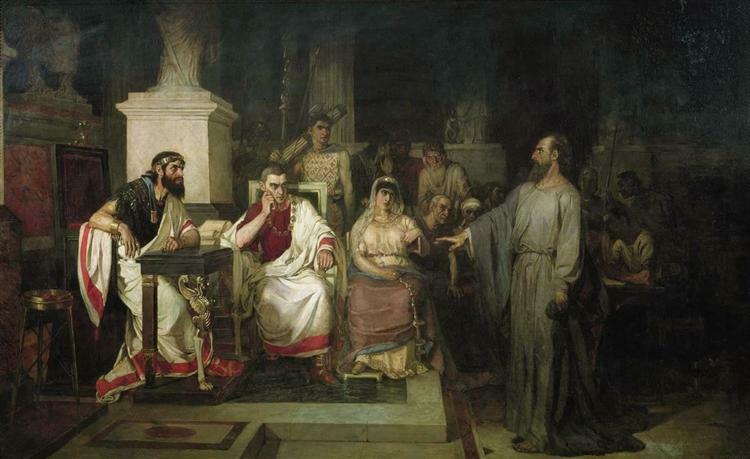 The Apostle Paul is an example of both knowing and standing up for his rights in the Roman system. Since religious freedom has been a hot-button social issue and is more and more frequently covered in secular and Christian news media outlets, we sometimes are asked these questions. Does the Bible address religious freedom, and, if so, what does it say and where? The Apostle Paul (and his traveling companions on various mission trips) is perhaps the most notable example of a biblical figure who suffered religious persecution and also on occasion stood up for his religious liberty. It is interesting that Paul did so in a government that had some similarities to Western nations. To read the rest, click on "Is Religious Freedom Addressed in Scripture?" The other day, Stormie Waters was frustrated with her gold prospecting efforts and ventured up past Stinking Lake (which is not as bad as the name implies) and up into Deception Pass. Somehow she avoided the Winkie Guards and drew near to the Darwin Ranch. Then she overheard Rusty Swingset telling the hands that they need to step up their propaganda game — using celebrities. I'll allow that we gravitate toward people who think like us (and Christians are commanded to have teaching and fellowship with other believers, but it seems that we seek out celebrity endorsements a bit less than other people.) Having someone famous who is on your side has a greater impact. 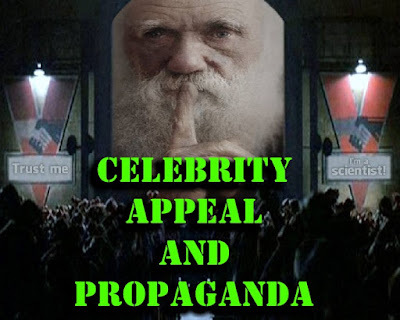 You can find listings of famous atheists in history and the media, and lists of creation scientists and other scientists who disagree with Darwinism can be found. People of varied interests find influential people who share their interests. The word propaganda is not necessarily a dirty word, but it has strong negative connotations. Advertising is a kind of propaganda to persuade people to use a product or service. Propaganda has been used during wars to help improve the morale of the populace and the military, and is used to discourage the enemy. Unfortunately, a great deal of propaganda for leftist political purposes, global climate change, evolutionism, and other things is deceptive. Misquotes are used with impunity and pertinent information is omitted in order to deceive people. I reckon that propagandists know that people are unable or unwilling to think critically, preferring to "think" with their emotions, so they swallow the lies and succumb to manipulation — all the while believing they were reaching their own conclusions through reason. Really, who cares? Thinking people should not be influenced by the opinions of people in the arts. (Ever notice that movie and rock stars as well as others in arts-related fields are usually leftists and others who reject biblical authority?) Rock star Alice Cooper (Vincent Furnier) bluntly said, "f you're listening to a rock star in order to get your information on who to vote for, you're a bigger moron than they are. Why are we rock stars? Because we're morons. We sleep all day, we play music at night and very rarely do we sit around reading the Washington Journal." Like rockers, film stars are not exactly known for being experts in foreign policy, climatology, or economics. To use a phrase from Chris Plante, they "play dress up and make believe". Actors generally do not have time for more intellectual pursuits. A well-known advertisement for a cough syrup used an actor who played a doctor on a soap opera telling us to use that product, but he was not a real doctor. This was an implied appeal to authority. Just stop and think when you're influenced by that actor in the latest hit movie about comic book heroes brought to life. Celebrities are not exactly known as role models for morality, and a presuppositional apologist would like to ask someone making declarations, "What makes this policy or person you're condemning bad (or good) according to your hedonistic worldview? What is your ultimate standard of morality?"' What we all could do (when we get a notion to using our think bones) is consider those questions ourselves when a celebrity is pontificating. While many celebrities get attention the usual way (film attendance, album sales, and so on), others have their status inflated. Atheists have their "rock stars" that owe their popularity to the web, and others are poor philosophers that sell books to other atheists who seek support for their existing anti-Christian bigotry. It baffles me why Clinton Richard Dawkins is an "expert" on religion when he is a materialistic scientist and has no formal training in theology. Celebrity atheists sell books, give lectures, and make big money hating God, though, experts or not. Evolutionary and atheistic icons receive hero worship that is largely undeserved. Charles Darwin is touted as a "great scientist", but when we point out that his only formal education was in theology, not science, his disciples get a mite obstreperous. In the same way, Bill Nye is sought after for his views on atheism, evolutionism, and climate change. When shown that he is a former comedian that became a television actor, not a scientist, and a propagandist for leftist causes (like abortion, global warming, evolution, etc. ), his admirers tend to go ballistic. Indeed, Nye used fake, outdated science and bad logic in his debate with Ken Ham, and Answers in Genesis provided many articles refuting his ignorance. If you read about propaganda used by Nazis, Mao, the Soviet Union, and so on, you will see the cult of personality approach is used to inflate the celebrity status of those in power. People were persuaded by posters, leaflets, broadcasts, and testimonies of how wonderful their leaders were. You do want to please Our Leader, don't you? Think of how badly you would feel if you let him down, boy howdy! Fear was a big part of this because people who displeased those in power were made to go away, which also helped the propaganda. Christians tend to get a few sensational claims from celebrities to prove their points. It puts a burr under my saddle when people misquote Uncle Albert (Einstein), for instance, when as a student he puts an atheistic teacher in his place. The account is fictional, and Einstein did not hold to any semblance of Christianity. Some of us have passed around things without checking on their validity, presumably with some sort of celebrity appeal. This only gives misotheists additional excuses to ridicule us. The basis for our thinking is the Word of God, not sensationalism or the opinions of famous people who ride for the secularist brand. God gave us minds and expects us to use them. People are not converted to Christ through celebrities, that is the work of the Holy Spirit. Don't get me wrong, it's interesting and even fun when a famous person shows up in the studio or at a gathering to lend support to a cause. It's even better when they have knowledge of the subject they are supporting. But be very careful about being swayed by emotional appeal. "Fiona Famousgirl supports this, so I should too because I adore Fiona". Wrong. I may write an article on this sometime, but I believe that we are ripe for a dictatorship. Study on it a bit and see that people do not think logically, are easily manipulated by celebrities and false authority figures, and are driven by their emotions. (The Antichrist could easily harness all that, but I'm not going to turn this into an eschatology article.) What can we do? For one thing, take Mr. Newhart's advice and stop it. Get up on the hill for the bigger picture and reason things through. Is there any reason to care what some famous person thinks about a subject, especially if they are opposed to our values? Not hardly! This article was inspired by another that I am going to recommend. I'd be obliged if you'd read "Can evolutionists use celebrities to brainwash the public?" Canada has been doing a whole whack of stuff that is anti-family, anti-conservative, anti-free speech, and anti-Christian. Like many other parts of the world (including these here United States), this kind of behavior by governmental and legislative officials has been increasing. 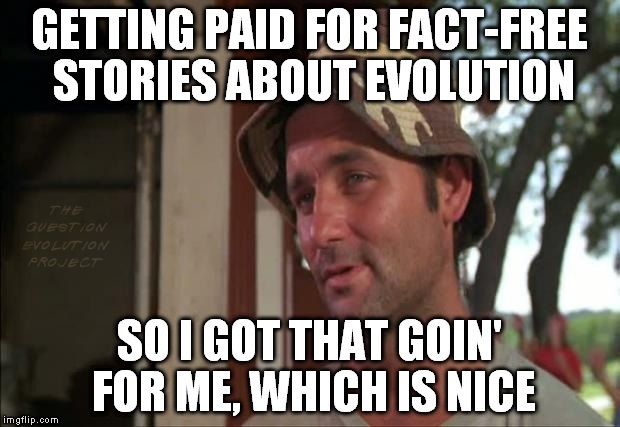 Atheists whined, and were financially rewarded. What, is Canada turning into France and surrendering to bad behavior? Up yonder in British Columbia, an atheist family complained about religious holiday symbols (atheists complain a lot, it's their nature). "You have to stop what you're doing and everybody else has to comply to our demands", it seems. The school didn't want those obstreperous schmendricks in their establishment, so they said not to come back. The atheists sued and won! They are teaching their child intolerance and bigotry. The child is learning that whining and seeking legal action are the way to settle disputes. This child is also learning to be a jerk, expecting the rest of the world to cave in to his or her narrow demands. Schools are supposed to be places of learning, including what other people think and believe. It appears that these unfit parents want to keep the kid in a bubble, unaware that other people think and feel differently. Unless something changes drastically, this child is learning to be unfit in dealing with other people, whether in Canada or other cultures; shielding the kid does not work. People celebrate Christmas and Hanukkah. That means songs, symbols, greetings, decorations, and so forth. Despite the efforts of misotheists, most calendars number the years based on the fact that God the Son, the Creator, entered his creation to redeem us. Trying to change AD and BC to CE and BCE are shallow efforts to deny historical reality. Is the child going to complain about the years on calendars or stamped on coins? Perhaps Junior will become a Christian despite the efforts of atheo-fascist parents. The biggest loss that these parents will receive is at the Judgment of Christ. Although they suppress the truth of God's existence in unrighteousness, they know (and their child knows) deep inside that God exists. Hell is getting hotter for them because of hindering their little one. They need to repent. 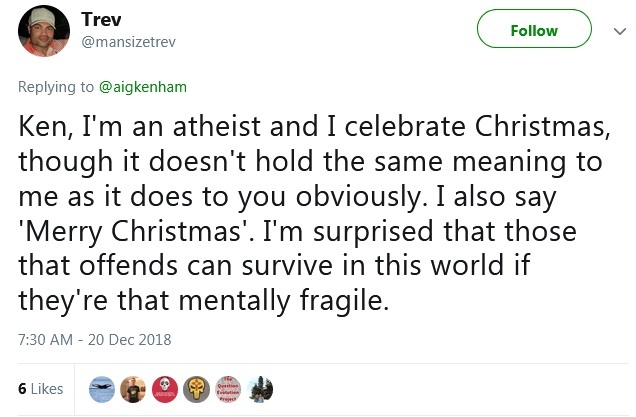 Then they can celebrate the birth of Jesus with a few million of the rest of us. 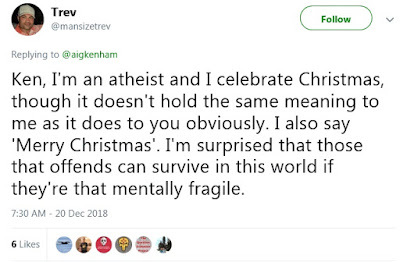 Until then, they can work on Christmas instead of getting a day off and celebrate the virgin birth for the God they hate. 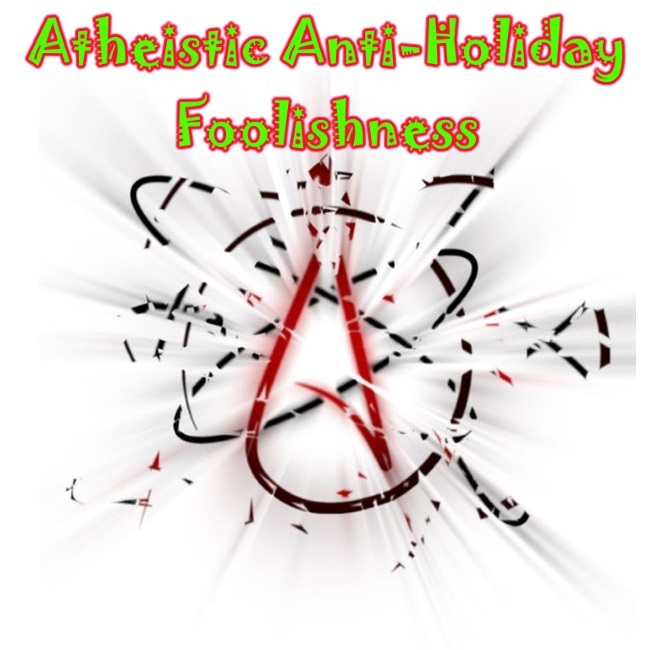 Christmas and Hanukkah still happen, whether atheopaths like it or not.